The Gum Ball is back in 2016 and we can't wait to celebrate with everyone! Gates open midday Friday 22nd and the event runs all the way through to midday Sunday 24th. SOME TICKETS ONLINE ARE EXHAUSTED. PLEASE CHECK THE OVER-THE-COUNTER LOCATIONS ON THE TICKET INFO PAGE FOR LAST CHANCE OPTIONS. The full line up has been announced. if you haven't seen it, visit the Who's Playing page. And the playing times will arrive around the end of March. This is a licensed all ages event. All persons under 18 must be accompanied by a legal/responsible guardian at all times when at the festival. No event entry will be permitted to unaccompanied minors at any time. Tickets are transferable from person to person, but cannot be refunded. So please, to avoid any mistakes make sure you read all the info on this page, and others before purchasing so you are all up on the low-down. Any questions? Feel free to ask a question via the contact page. As things have changed slightly on previous years we wish to clarify the fees involved with purchasing your tickets online via Ticketbooth. Ticketbooth provide both you the customer and us the seller with leading event ticketing technology which allows smooth operation of all sales. This means we don't have to have someone man the phone, update the spreadsheet and send reciepts on a daily basis, you won't need to worry about losing your ticket or investment. Ticketbooth does this for us, and therefore they charge a booking fee. All tickets have the option of registered post or e-ticket. fees apply depending on the option you go with. Anybody wishing to purchase tickets over the phone will be manually processes through the Ticketbooth system as it allows us to better manage our sales data, so same fees will apply. 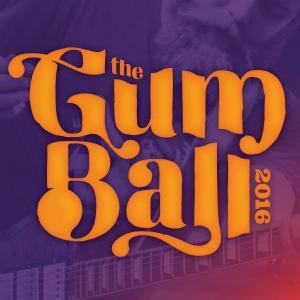 All ticket transactions from www.thegumball.com.au will be identified on your statement as "Redfloor Productions". By purchasing a ticket to The Gum Ball Music Festival you agree to the following terms. Click here. © 2019 Ticketbooth on behalf of Dashville. All sales are final. Tickets are non-refundable.